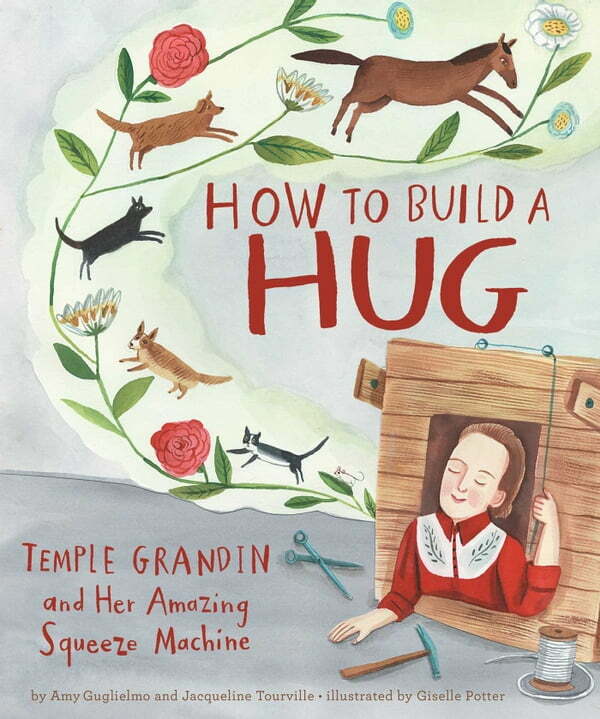 Amy Guglielmo, Jacqueline Tourville, and Giselle Potter come together to tell the inspiring story of autism advocate Dr. Temple Grandin and her brilliant invention: the hug machine. As a young girl, Temple Grandin loved folding paper kites, making obstacle courses, and building lean-tos. But she really didn’t like hugs. Temple wanted to be held—but to her, hugs felt like being stuffed inside the scratchiest sock in the world; like a tidal wave of dentist drills, sandpaper, and awful cologne, coming at her all at once. Would she ever get to enjoy the comfort of a hug? Then one day, Temple had an idea. If she couldn’t receive a hug, she would make one…she would build a hug machine!